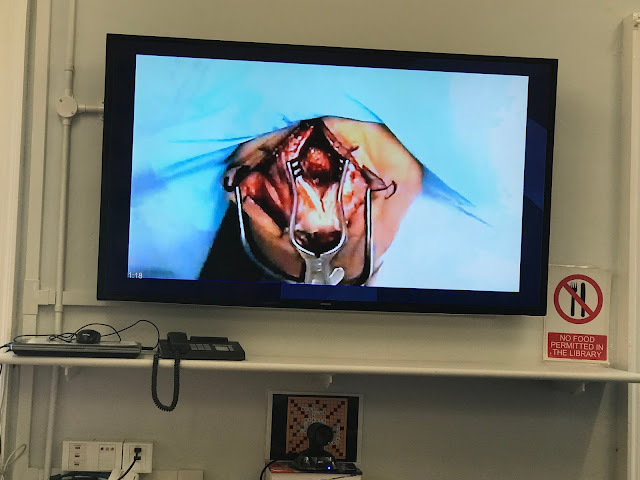 Science students at Woodford County Girls School connected into a live Surgery of the funny bone at the Pan Am Clinic, Winnipeg, Canada. The patient’s surgery was on the “funny bone” nerve found in the elbow. 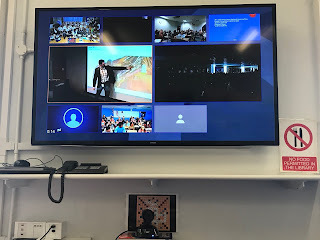 The surgeons from Pan Am Clinic explained how the “funny bone” works, what the surgery is, and of course the completion of the surgery itself.This event was interactive, which meant students from around the world could ask questions directly to surgeons and get feedback in real time! Here is what the students at WCHS thought of the video conference to. It’s actual surgery … really FUN. The goal of this project was simply to make high tech procedures such as surgeries more accessible to students. A project like this allowed students to understand what exactly goes on behind the scenes during a surgery, something that is nearly impossible to replicate in a typical classroom setting. This will be the fifth live surgery which has stemmed from partnerships with Sisler High School, Pan Am Clinic, Manitoba Health, Telehealth, and Frontier School Division.